Fans of the cult television series Doctor Who will appreciate this mod. 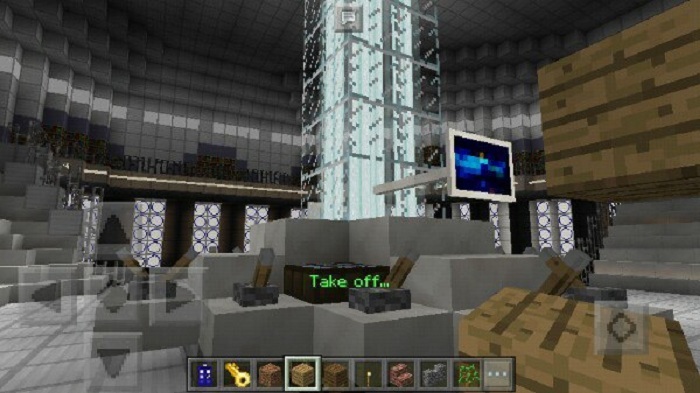 The idea of the mod is to add the TARDIS to Minecraft Pocket Edition. The TARDIS is a machine that can move in space and time. It is the invention of Time Lords, the inhabitants of the planet Gallifrey. How to use the TARDIS? 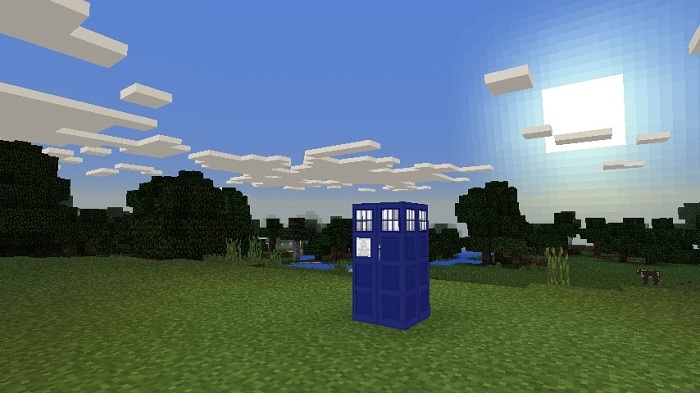 Craft or take the Tardis from the creative inventory and then put it in the right place. Take the Tardis key in your hands and tap in any place to enter it. After 3-4 seconds you will be inside the TARDIS. 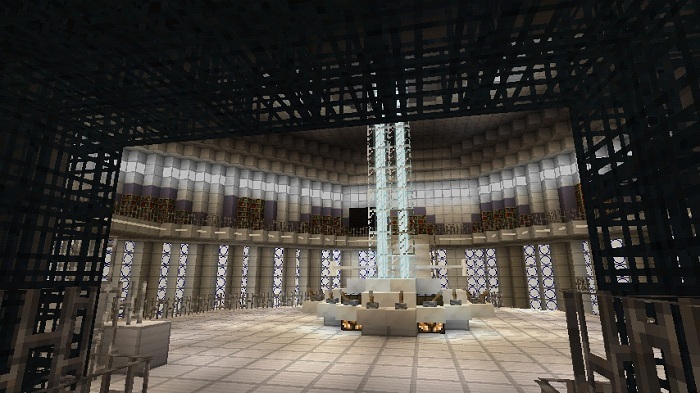 To exit from the Tardis tap on the iron blocks behind the iron doors. 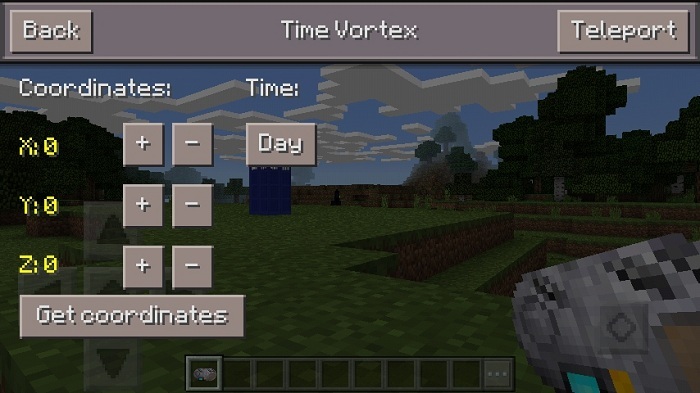 To turn on the sonic screwdriver, you must tap on any block, or hit mobs (and you will not damage it). Use the manipulator to quickly navigate through certain coordinates. Take the manipulator in your hands, and then press the TVM button to open the special interface. Click the Get coordinates button to get your current location coordinates. Change the X, Y, and Z coordinates, and then click the Teleport to move. You can also change the time of day with the Day / Night button. The console room can not be generated until the end. To do this tap on any monitor and click the Restore console button in the TARDIS interface. The light does not work in the console room. To do this, place a torch at any place, and then break it. 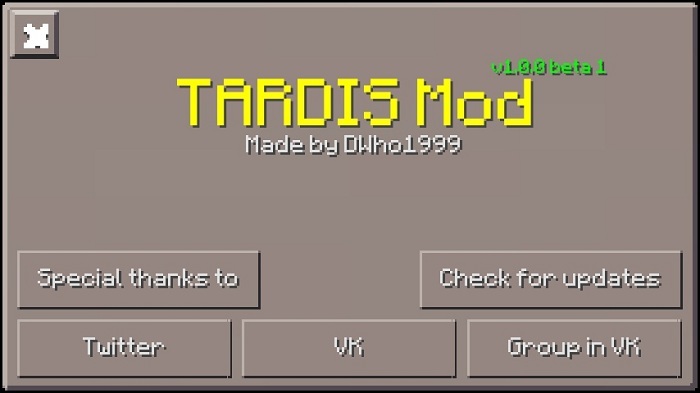 How to install the Tardis mod? Download the .zip file from the link below and unpack the files to the desired folder. Open BlockLauncher -> go to the BL settings -> select the ModPE script section and click +. Find the unpacked .js mod file and click on it to add. Do the same with the textures. 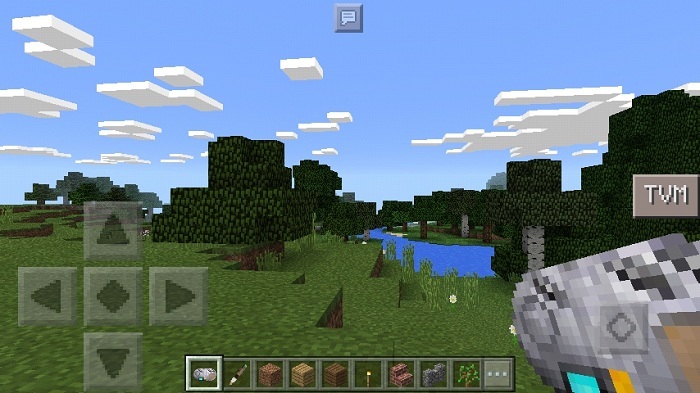 Does it work for MCPE 1.1.5?